Thanks to the favorable geographic and climatologic conditions it enjoys, the Peruvian sea possesses an immense variety of hydro biological resources with rich nutrient contents in all of its ecosystems. The sea, rivers, and lakes of Peru are home to more than one thousand types of fish and other aquatic species. Anchovy, giant squid, Pacific mackerel, horse mackerel, and bivalves stand out among the most used, and are exploited under principles of sustainability and responsible fishing that are contemplated in the new legislation sanctioned by the government. Peru is a world leading producer of fish meal and fish oil but also stands out in the processing of aquatic species for direct human consumption which contains more added value. The sanitary authority surveys and guarantees the health conditions in the farming, extraction, and processing of the products. The Peruvian fishing industry specializes in the processing of frozen and conserved products packed in hermetic containers. Several species like squid, shrimp, scallops, mahi-mahi, trout, bivalves, and diverse types of seafood are processed and exported. The catalogue of the conserved-fishing industry includes products in several presentations and formats (entire, filleted, solid containers) and processes species like horse mackerel, Pacific mackerel, tuna, Peruvian sardine (anchovy), and mollusks like Peruvian abalones, clams, razor clams, etc., which come in different governing liquids, some accompanied with vegetables, thus making the consumer election quite easier. Likewise, fresh-refrigerated, dehydrated, and smoked products are also processed and exported. 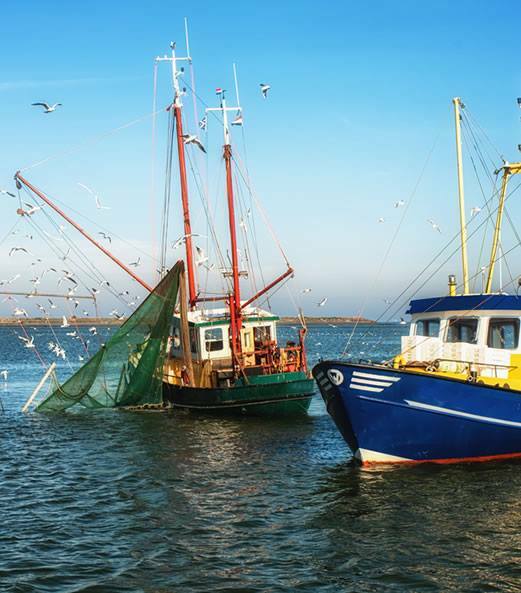 The fishing industry applies adequate systems of quality control and complies with the sanitary regulations of the most demanding markets, where its products are competitively positioned. Peru’s climate variety, the availability of human resources and high-quality, domestically produced inputs such as fish meal and fish oil, sustain the potential for the development of aquaculture in the country. The main farms that cultivate whiteleg shrimp, scallops, and tilapia are located on the coast. They work on a large scale that is aimed to meeting the demand from abroad. The cultivation of trout occurs in the Andean region whereas the Amazon region specializes in ornamental fishes on a lesser scale. The basins of the Amazon (comprised of rivers, lakes, and lagoons) and Lake Titicaca are adequate zones for the cultivation of aquaculture species like trout, silversides, and river shrimp, among many others.